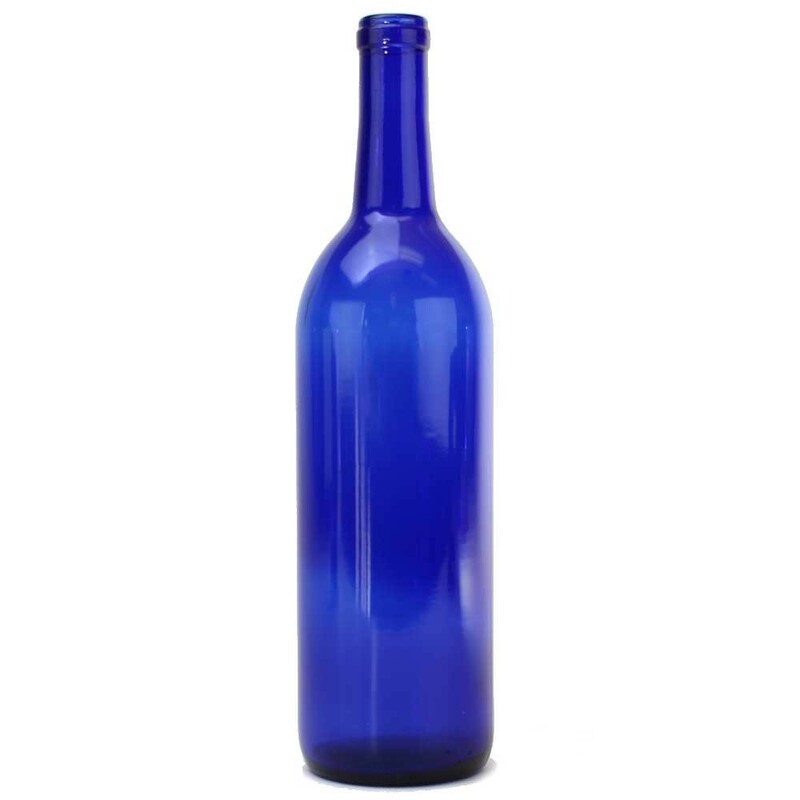 Cobalt blue glass claret/bordeaux-style bottles. Cobalt blue glass claret/bordeaux-style bottles. This bottle uses a #9 cork (sold separately). There are 12 bottles per case.